Our Sirocco ballpoint pen has long been a well favoured pen both with our customers, and ourselves. With this in mind, we are excited to announce that we have now added a fountain pen version. 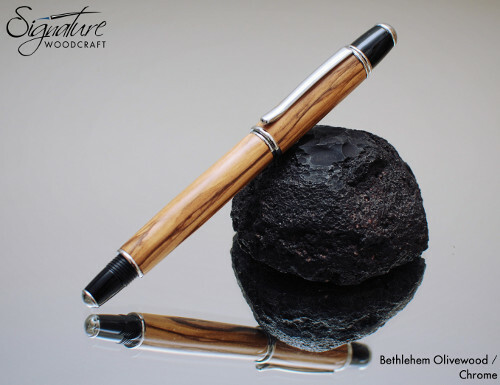 The Sirocco Fountain Pen features elegant and sleek styling, similar to the ballpoint version. This pen represents everyday practicality whilst being perfectly balanced in the hand. The pen features the same design philosophy as the ballpoint version, with double ring design on the centreband and cap. 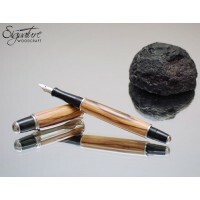 The same, elegantly styled, pocket clip adorns the cap, which can be posted on the end of the pen body. 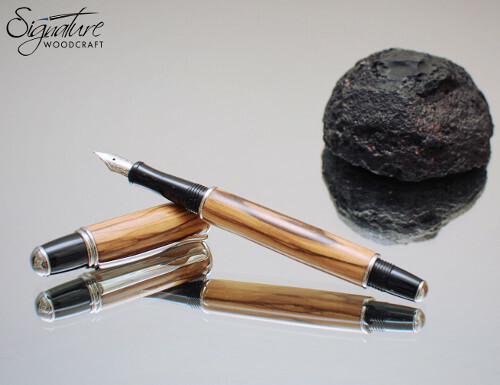 The pen has an appropriately shaped black resin pen grip, fitted with a generic IPG nib, which can be updated to a JoWo or Bock.